Professor Jong-Hoon Nam has received funding from the National Science Foundation (NSF) for his research project in collaboration with Professor Douglas Kelley, entitled, "Mechanically-facilitated cochlear fluid homeostasis." Different types of hearing loss/difficulty are ascribed to imbalance of two lymphatic fluids in the cochlea. Operating like an electrochemical battery, the cochlea is partitioned into three compartments filled with the lymphatic fluids. The separation of the two fluids provides an electric potential of approximately 80 mV that is crucial for hearing. To transduce sounds into neural impulses, there exists constant leaking (depolarizing) currents between the two fluid spaces through the sensory epithelium called the organ of Corti. 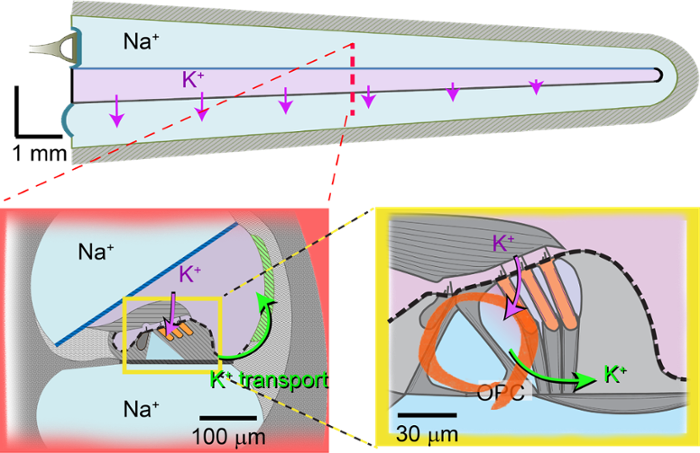 Supporting cells in the organ of Corti must transport ions to maintain the electric potential. According to current theory, cochlear fluid homeostasis is responsible for the loss of auditory receptor cells (hair cells). Nam and Kelley propose to examine the converse of the current theory: they hypothesize that the mechanical feedback of auditory receptor cells facilitates the maintenance of cochlear fluid homeostasis.